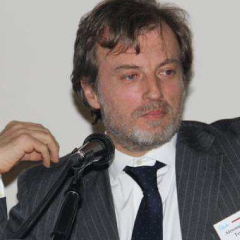 Majors in International Business Development, Procurement and Execution, Innovation Projects and Company Startups Career inception in research and training (Luiss, Rome, Scuola Superiore G. Reiss Romoli, L’Aquila), with prominent expertise as training manager and representative in international training consortia (Euroteam). Lecturer at University of Kent, Canterbury (1997), IESE, Madrid (1998), Luiss, Rome (1999), SDA Bocconi (2014), Luiss Business School (2016-2017). Reading, writing and speaking skills in English, French, Spanish, Portuguese. Beginner in German.